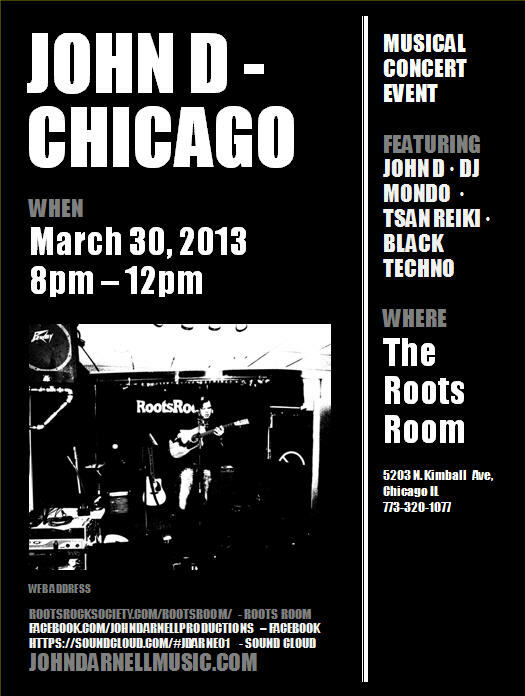 Many thanks to my friends that showed up at the Roots Room in Chicago. Special thanks to Machine Tools and Gray for hanging out with me and rocking out an incredible show. Also to Stan Champion and Tommy Love of the Roots room for setting up such a great scene and supporting musicians from all over the country. Had a great time. Hope everyone there made it home safe and sound.